Maintaining painted timber door sets in high traffic areas is not easy. The frames are vulnerable to knocks that can scratch or chip the paint. 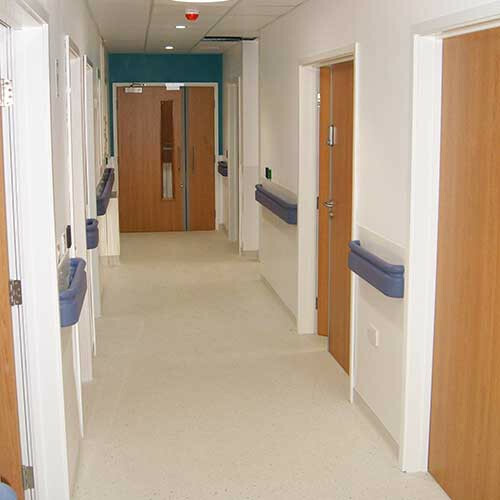 West Middlesex University Hospital built an emergency care centre in 2011 and wanted to ensure the highest standards of infection control. They asked Morland to provide a solution. 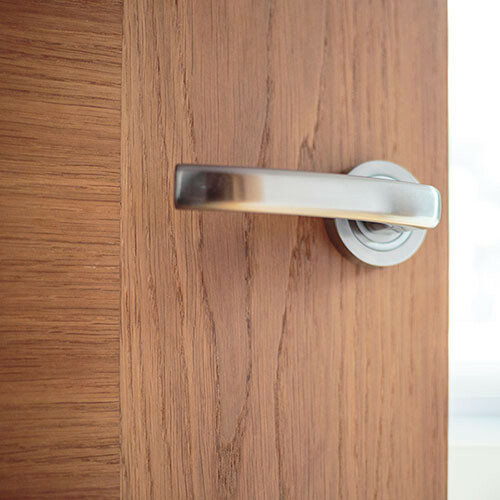 Problem – How to protect the door frames so that they are scratch and impact resistant. Post formed laminate has been used in the past, but it is slow to form and very expensive. 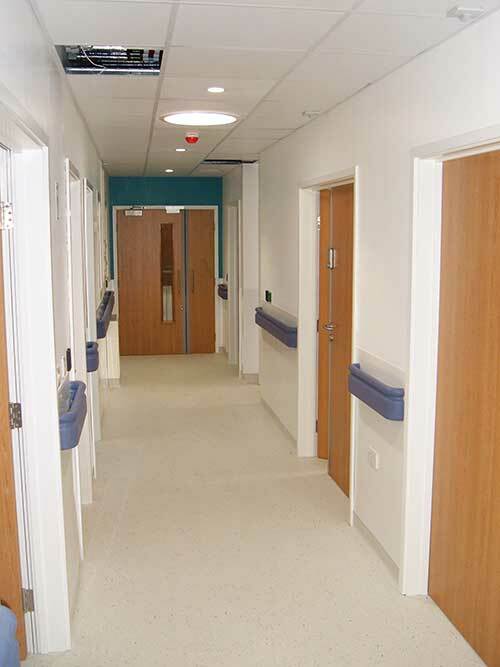 Solution – Toughened Laminate Finish (TLF) is an application Morland can apply to architectural profiles. The finish has been tested to EN 438-2:2005 and achieves the highest rating for resistance to mechanical damage, water, staining & dry heat. Morland moulded MR-MDF, applied the TLF process, and used that material for the door framing. The costs proved to be lower than for traditional painting because of the efficiency with which Morland can apply the surface finish. The doors were Vicaima’s production with an HPL face and 2mm PVC edge banding that also had edge protection on high circulation areas. 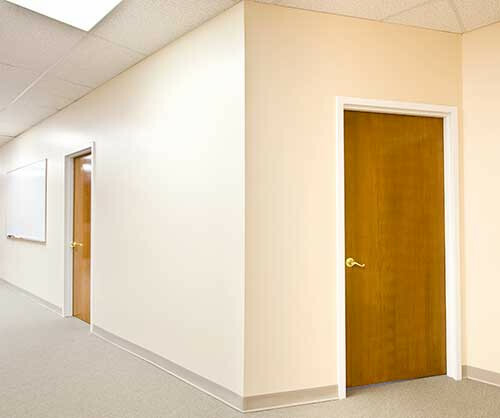 Result – Defect-free fully finished door sets that require no paint maintenance. 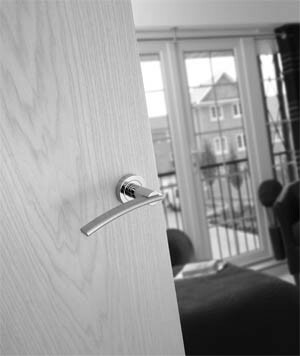 To request a Morland doors brochure please click Here. Specification tools are currently under development for this offer. 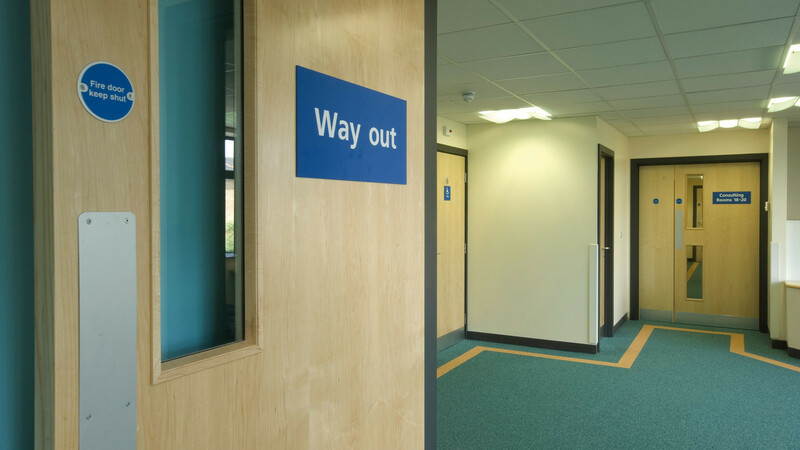 If you would like to talk to us about what Morland can do for you with it doors, please Contact Us.